Due to the federal government shutdown, the application deadline for the fiscal year 2014 Japanese American Confinement Sites (JACS) Grant Program has been extended to Tuesday, Nov. 19, according to Kara Miyagishima, program manager. 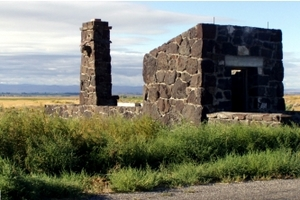 Congress established the grant program for the preservation and interpretation of U.S. confinement sites where Japanese Americans were detained during World War II. The law authorized up to $38 million for the entire life of the grant program to identify, research, evaluate, interpret, protect, restore, repair, and acquire historic confinement sites in order that present and future generations may learn and gain inspiration from these sites and that these sites will demonstrate the nation’s commitment to equal justice under the law. Grants are awarded to groups working to preserve confinement sites and their history, including private nonprofit organizations, educational institutions, and state, local, and tribal governments, and other public entities. Recipients are selected through a competitive process, and a 2:1 federal to non-federal match ($2 federal to $1 non-federal) is required. The minimum grant request is $5,000. Grants will be awarded dependent on funds appropriated by Congress. For more information, including a list of projects that received grants for fiscal year 2013, visit www.nps.gov/history/hps/hpg/JACS/.